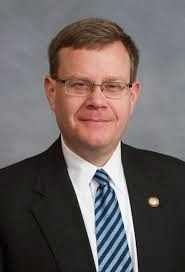 Trying to decipher what manner of creature Rep. Tim Moore of Kings Mountain may become as the new Speaker of the North Carolina House. He's replacing Thom Tillis, who's gone on to glory in the U.S. Senate. Our Magic 8 Ball is giving ambiguous answers on Mr. Moore. Furthermore, according to WNCN, Moore sez he'll be balls-to-the-walls in continuing to defend the indefensible Amendment One, which has already been struck down by not one but two NC Federal judges, not to mention the 4th Circuit Court of Appeals. By all means, Mr. Moore, let's waste more taxpayer money on more lawyers to defend that particular piece of bigotry. Magic 8 Ball sez, "You may rely on it." So is Mr. Moore "soft" on a progressive issue like "sustainability"? Magic 8 Ball sez, "Ask again later."